Our Home is our sanctuary, the place where we relax and remove stress from work. It is the place we go for privacy, security and thats yours. We also want a strong secure gate to contribute to our tranquility. Your gate is the first impression to visitors, you want something that makes a statement and beautiful to greet your visitors. The design and quality of the gate is extremely important, so it provides safety to everyone that enters the property. We can install any type of gates even commercial gates, here are a few to consider for different types of homes. Our gates are made from the best materials and highest quality steel or wood. We pay close attention to the material used, not like many companies whose gates need repair or replacing after a short few years. Our wood is treated so they are weather and pest resistant, our steel is powder coated. This is to ensure you gate will last for many years. 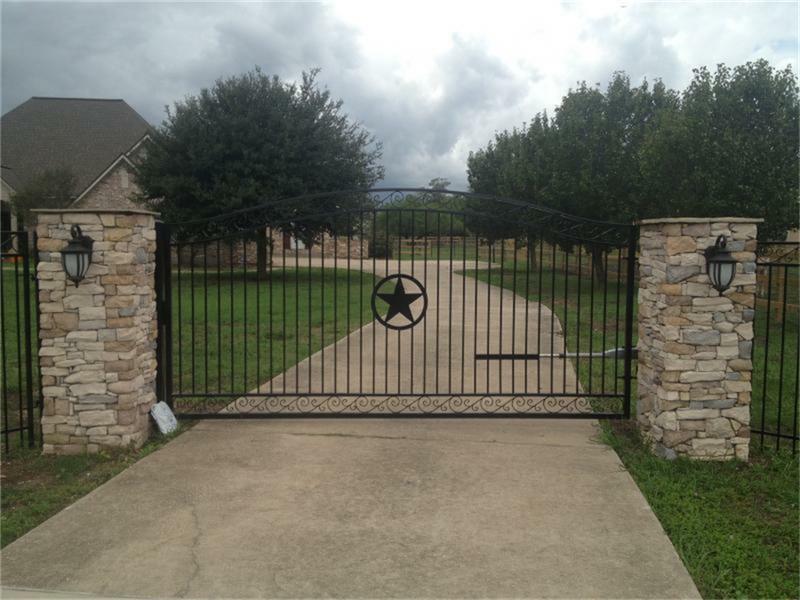 We can help you choose a gate that complements your home and meets your needs of safety. You can even have a very nice wooden gate with a steel frame that is durable and elegant. We can install automatic gate systems, so you can enjoy the luxury of not getting out of your vehicle to open and close you gate. Even when the power is out you will still be able to open your gate with a push of a button. To increase the security of your property, we can install gate security systems to help you feel more secure when you are home. It may lower you home insurance as well. We have experience installing any type of gate that you need, while also having professional results. Everything from motorized gates to sliding gates, we are the company to call. Our expertise and professionalism won't be match. If you need a customized gate or a simple repair we can do it all. Let us help you make a massive first impression to your property. Call us today at 817-382-4614. ​One of our profession staff will contact you when you fill out our free instant quote form.